Bill Lowen, Team Plapp’s. Bill is also a member of Team Skeeter through Plapp’s. 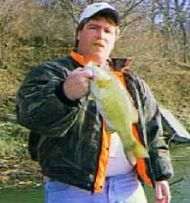 Bill fished the Everstart Series and Northern B.A.S.S Opens in 2005. 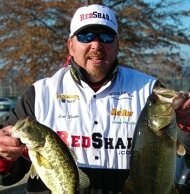 Bill finished high enough to qualify for both professional tours in 2006, B.A.S.S Elite Series & FLW. Bill is one of the most versitle fisherman in the area. 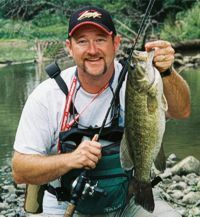 In 2006 Bill will concentrate on fishing the B.A.S.S Elite Series. “I would like to thank Tony and Hooked-Up Baits for the opportunity to promote their product in the ever growing world of bass fishing. I have used these tubes for several years and I can say without a doubt they are the best tubes on the market. 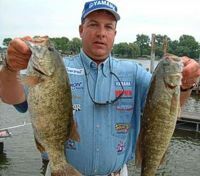 “These baits are one of the tools that helped me qualify for 2006 Bassmaster Elite Tour, 2006 FLW Tour and 2005 Federation Nationals. Whether your fishing for smallmouth up north or largemouth down south this bait will hook you up! Business owner, tournament fisherman, promoter and family man who loves his grand kids. Ray spent a lot of time in his basement mixing colors and put together one of the best fish catching colors that we sell today.